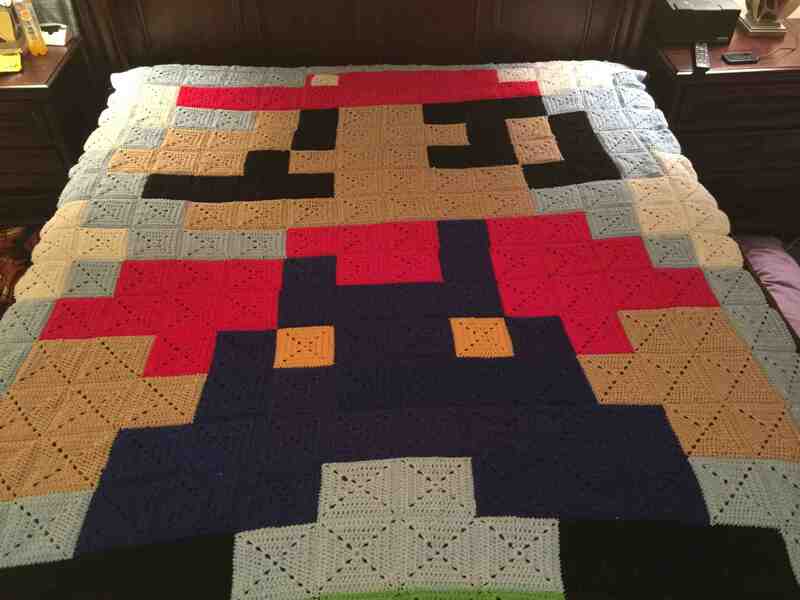 We’ve featured a lot of Super Mario Bros. inspired crafts here over the years, and we’ve also featured a lot of crafts with a modern twist on traditional techniques that made them distinctly “not your grandma’s.” Now, an image shared by redditor blandisanoob combines both of those types of crafts because this crocheted granny square Super Mario Bros blanket was made by his friend’s grandma. It’s great to see that geeky, 8-bit craft patterns already seem to have become a part of crafting traditions, especially considering that this blanket was made as a Christmas gift for blandisanoob’s friend, and grandma-style crafts don’t get much more traditional than that. Oh, and if you happen to be wondering why Mario is facing the wrong way, apparently the blanket is upside down and there’s an “M” on his hat when it’s right side up, but the grandson has taken responsibility for that little blunder!